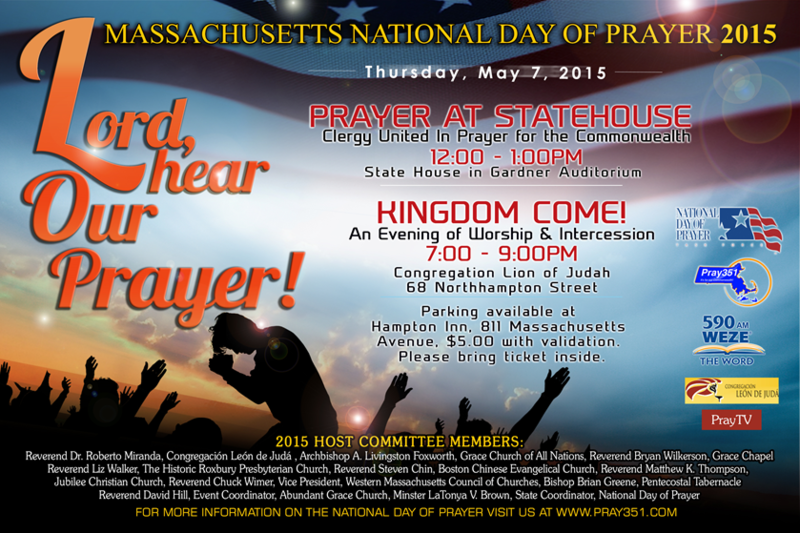 May 7, 2015	12 p.m. - 1 p.m.
Join us Thursday, May 7, 2015 for the Massachusetts National Day of Prayer 2015 hosted by our friends at Lion of Judah. 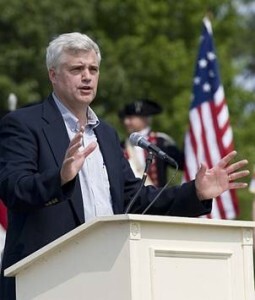 Dr. Paul Jehle, the premier Christian historian of Massachusetts, will be conducting two, one-hour tours of the State House in conjunction with National Day of Prayer event on Thursday, May 7. The first tour will be at 10 a.m. starting at the Bullfinch Memorial Column behind the State House. The second tour will start in Gardner Auditorium at 1 p.m. right after the NDOP event. You will be greatly blessed to learn of the profound Christian heritage of the State House.